Eight college friends head to a "Haunted Rental" in a remote town for Halloween weekend. There, they play the game rumored to have caused the deaths of seven teenagers decades earlier, Truth or Dare. And what starts out as vodka-induced fun, quickly turns serious when the dares become sickeningly dangerous and the truths threaten to tear the group apart. When players attempt to refuse the increasingly challenging tasks, they're met with deadly consequences, quickly discovering: you must do the dare, or the dare does you. From the producers of the 2010 remake of I Spit on Your Grave and the Relentless series comes this chilling thriller directed by Nick Simon (Cold Comes the Night, The Girl in the Photographs, Dam Sharks! ), which originally aired on Syfy. 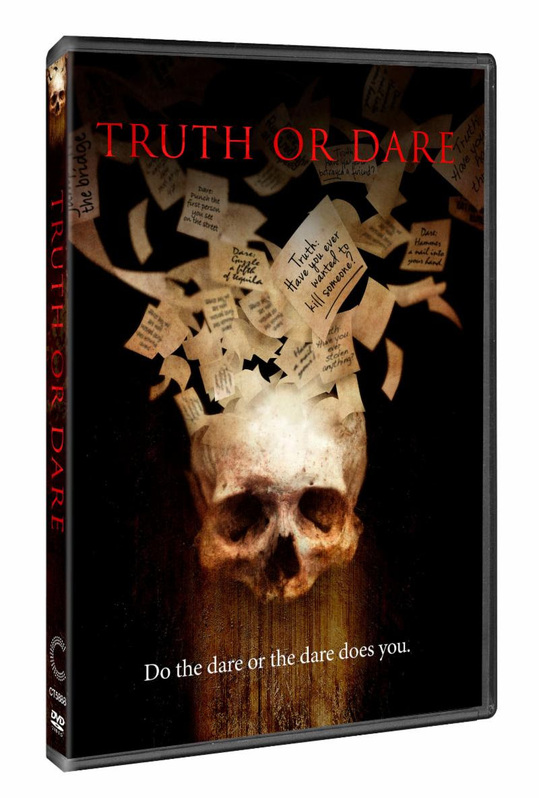 With an ensemble cast featuring Cassie Scerbo (the Sharknado series), Luke Baines (The Girl in the Photographs) and Mason Dye ("Teen Wolf"), along with a cameo from Nightmare on Elm Street's Heather Langenkamp, audiences may never play Truth or Dare again. Says Shannon McGrew of Fansided.com, "In terms of the kills, Truth or Dare had some really creative ways to bring about bloodshed and carnage...it offers audiences a fun popcorn-flick".